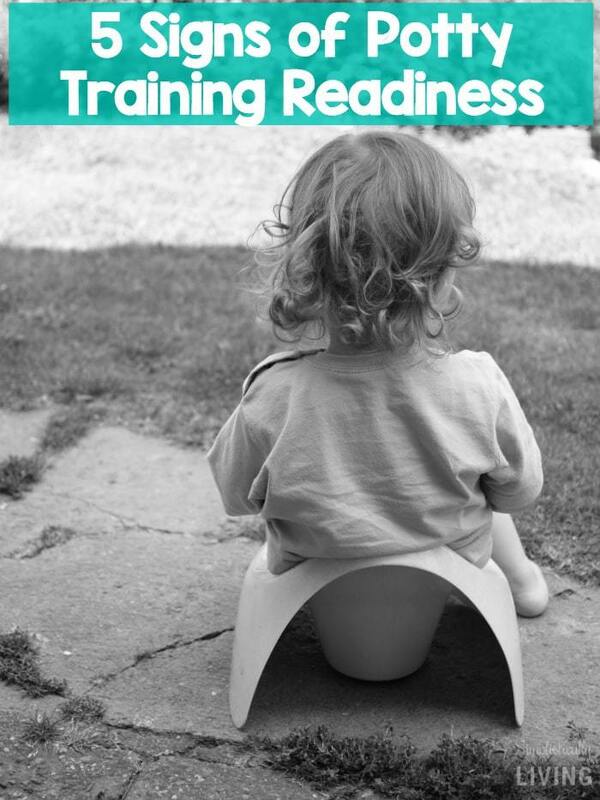 5 Signs of Potty Training Readiness | Is Your Child Ready to Be Potty-Trained? As a parent to a toddler, I know that coming to the realization your toddler is ready for the potty is rough. Instead, it is because it marks a time when our kids are gaining more independence and growing up. It has to be done but knowing the right time to do it, can make all the difference. For us, it’s finally time to ditch the diapers! After learning the signs of potty training readiness, I thought I had to share them with you. 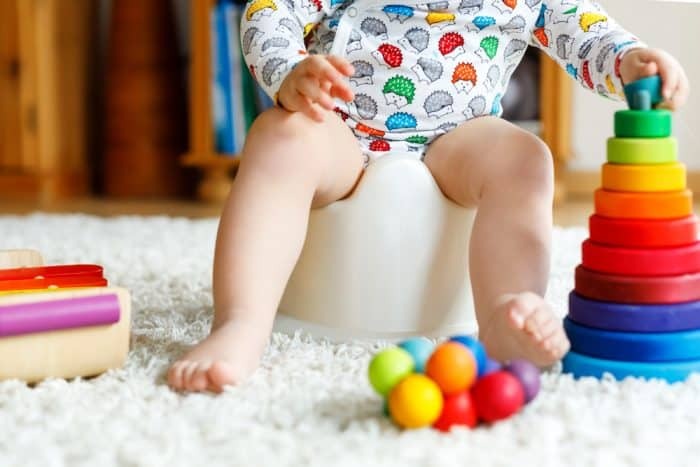 Before I get into some signs of potty training readiness, I do want to say that I am sure you are wondering if your toddler is too young to be potty trained. So, there ya go, it’s more about the interest your child shows in being potty-trained. 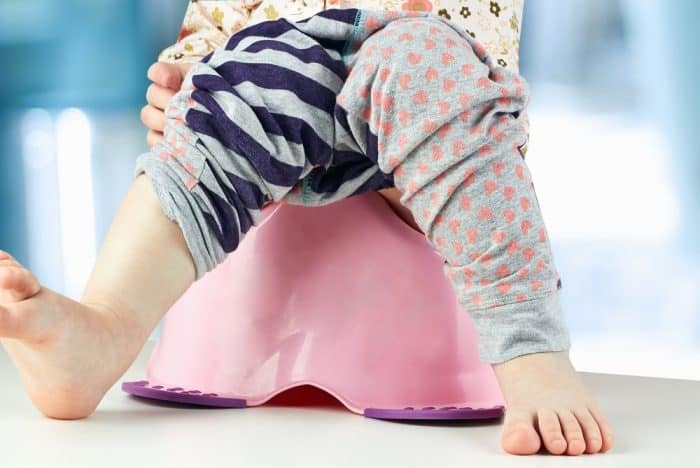 And while there are many ways to know if your child is ready to be potty-trained, there are 5 signs that I find to be the key to ensuring its time and it’s a good experience for you and your child. If your child is verbal enough to understand they have the urge to go pee and ask to, encourage it. 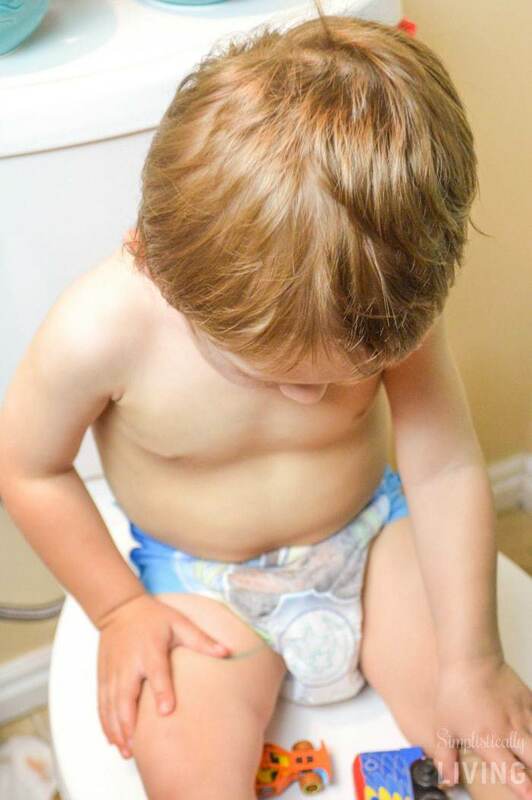 My son started doing this right around 13 months of age and although he doesn’t always actually go pee, it’s the habit of trying he is learning. HA! Yes, that is what I refer to it as. You will know when you see it. It’s when your child tugs and pulls at their wet or soiled diaper. With my oldest son, I came to realize he would hate the feeling of being wet so he’d pull at his diaper (often times take it off) and he’d get really upset until he was changed. 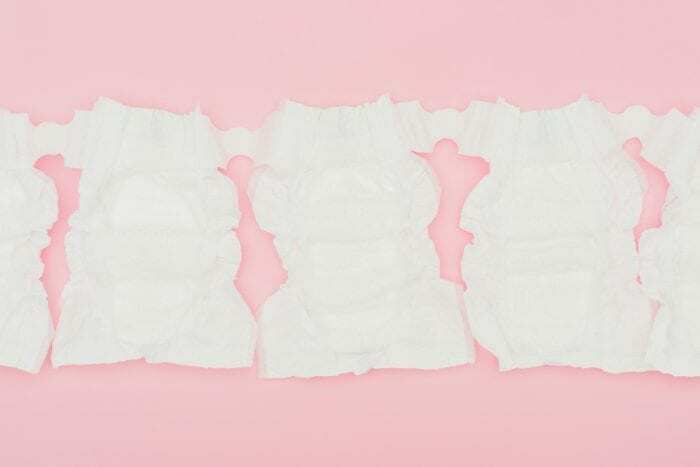 Eventually, your child will understand that they use the bathroom and it’s uncomfortable so they will try to remove their diaper to get away from that feeling. I am a boy mom and there is no hiding that. Now that I have a 6-year-old son and my husband, our youngest son has shown interest in potty training simply because he sees his male role models doing it too. In fact, we encourage our youngest son to go potty with daddy or his big brother and he finds it fun, rewarding, and it really makes him feel like a big boy. I am sure the same goes for little girls. 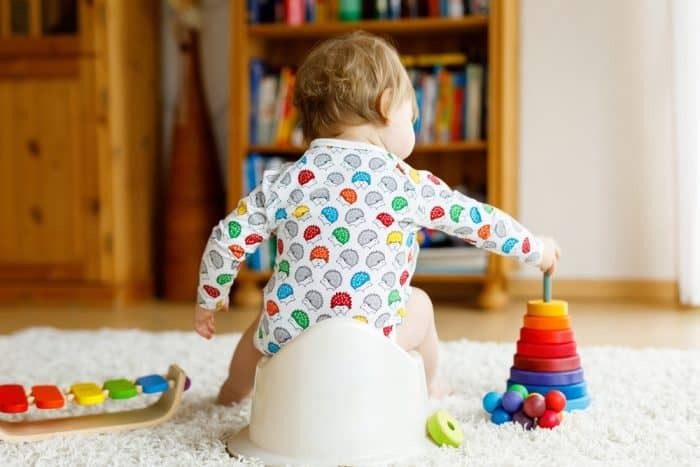 If your child has interest in copying your potty behavior, it’s a great sign they are ready to start the potty training journey. I remember when my oldest son was learning to potty train, he would hide under our kitchen table or bar stools to go #2 because he felt so embarrassed. He’d then come out with a traumatized look on his face wondering if he’d be in trouble. It truly broke my heart and I knew that he really needed to be potty trained to have his confidence back. So, if your child starts hiding their dirty deeds, I’d say it’s time to help them potty train. If you’ve never experienced a morning where your child wakes without a wet and soggy diaper, just know that it’s a glorious thing. 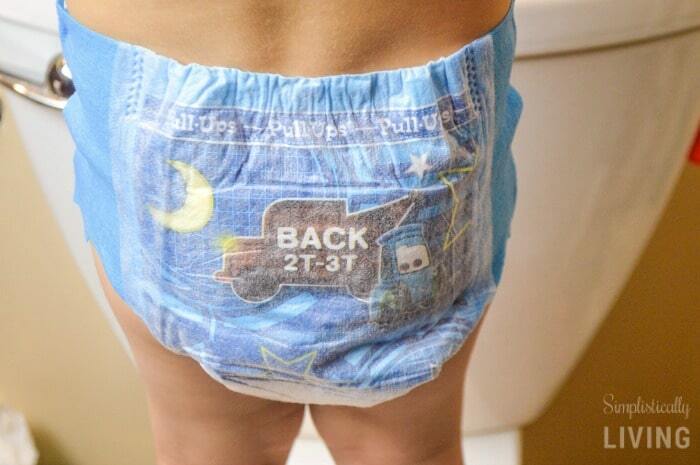 It’s also a great way to know your child can make it through the night and that means it’s: POTTY TRAINING TIME! So now you have a pretty good idea of some signs that will help indicate if your child is ready for potty training. However, each child is different in the way they express themselves and learn to be potty trained. That is why having a potty-training schedule to fit in with your daily schedule and child’s routines, can totally help! You can get a free printable potty training chart here. I cannot tell you how much training pants are live saving. When you are potty-training, accidents will happen. Avoid overly soaked bed sheets, underwear and furniture. Training pants are a great transition from diapers to underwear and help kids gain confidence while they potty-train. I allowed my son to help pick out his training pants which made him even more excited to wear them. My son proudly wears them around the house and even at night, we can put him in them. Last but not least, check out this Potty-Training Bullseye Light. 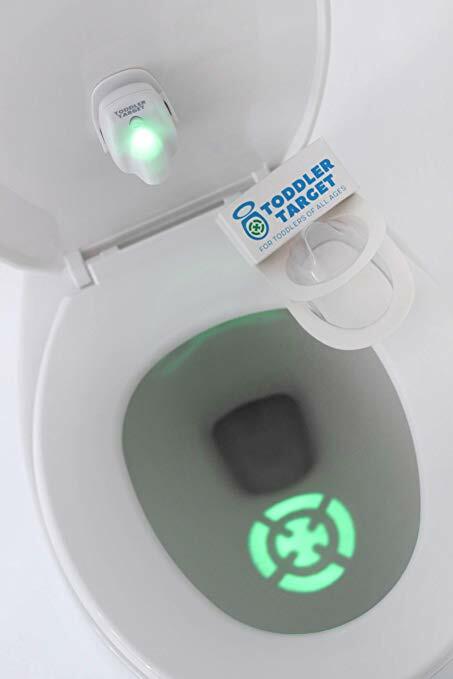 It’s the perfect device for helping little boys “aim” into the toilet during potty-training. I wish I had known about this device sooner!